Art Van To Sell His Personal "Ottoman Empire"! Art Van, the founder of Art Van Furniture, has put his 28,000 sq. 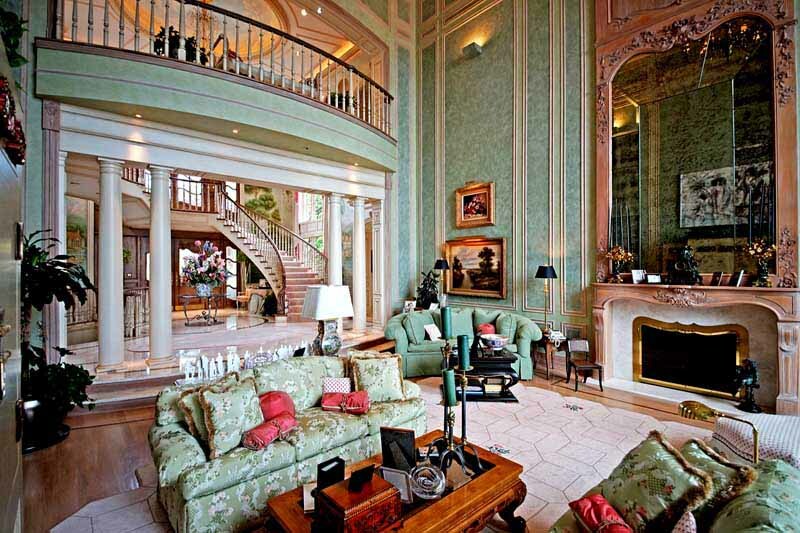 ft. mansion on Lake St. Claire up for sale for 15.9 million. - It sounds like a lot of money, but it comes fully furnished and Art will pay your property taxes for 5 FULL YEARS! - Plus there's no down payment and no payments until 2016, and just for walking through the house, you'll get a FREE set of wine glasses and a cheese board! - But hurry! The price is only good through midnight tonight! Facebook was taken down momentarily this week for some network maintenance. - So people couldn't get on facebook to complain about the fact that they can't get on the Obamacare website. - Most traumatized of all was a Millie David from Oklahoma who was unable to share the news that she and her husband Cliff we're having slow-cooker pot roast for dinner. Pope Francis has temporarily expelled a German Bishop from his diocese amid a scandal over the $42 million dollars the Bishop planned to spend on a new residence for himself. - The Pope caught on when he looked at the plans and saw a 12-seater Jacuzzi labeled "Baptismal Font". Senator John Mccain says he's thinking for running for President again in 2016 when he'll be 80-years-old. - Sarah Palin is already backing him saying, "I can see his Nursing Home from my front porch!". - Ted Cruz vows to filibuster for as long as it takes for McCain to change his mind...or diapers. Kanye West proposed to Kim Kardashian by renting out San Francisco's AT&T Park stadium, giving her a giant diamond ring, and having the Chicago Symphony play as the Jumbotron flashed "PLEEEASE MARRY MEEE!!!" - The best part was that their four-month-old baby was on hand for the festivities. Don't you just love it when the kids get to be there when Dad proposes to Mom? - The couple says they'll be taking their baby "North West" on their Honeymoon somewhere in the "South East". - Neither the date for the marriage, or the divorce, have been announced. A new Gallup poll found that for the first time, a clear majority of Americans, 58%, favor legalizing marijuana. - So basically people don't think you should end up in the joint for smoking one. The head of the Russian Space Agency believes a 400-meter-wide asteroid will blow up the Earth in 2032. - Experts predict another big crash on earth that year...The Obamacare website. Have a great day and I'll see you back here Thursday!